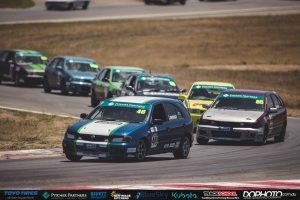 The 2017 Pitcher Partners NSW APRA Series returns to Wakefield Park this weekend, for the commencement of the second half of the season. 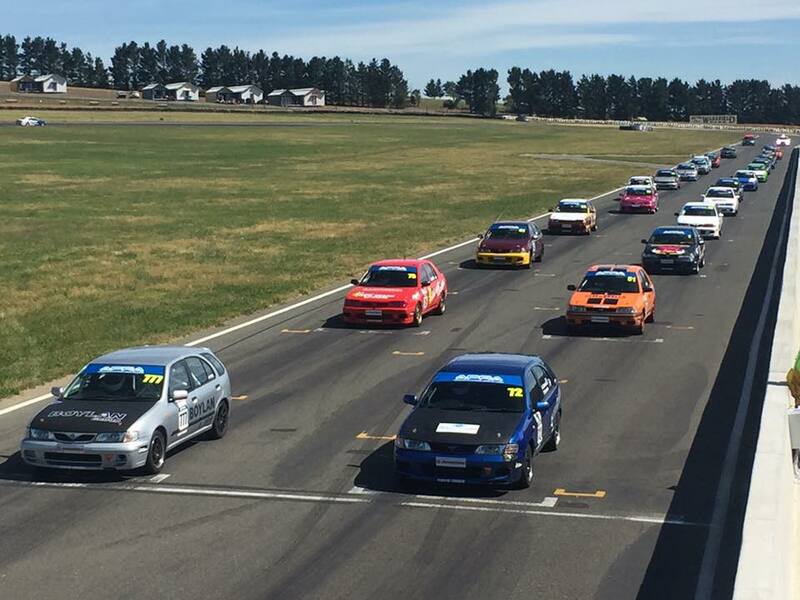 So far in 2017, we’ve seen nine races, and three different race winners, with Matthew Boylan, Joshua Heath and Daniel Smith all tasting success. Boylan added his name to the winners list in the last round at Sydney Motorsport Park, and will go to Wakefield Park full of confidence, ready to take the fight to Heath and Smith. 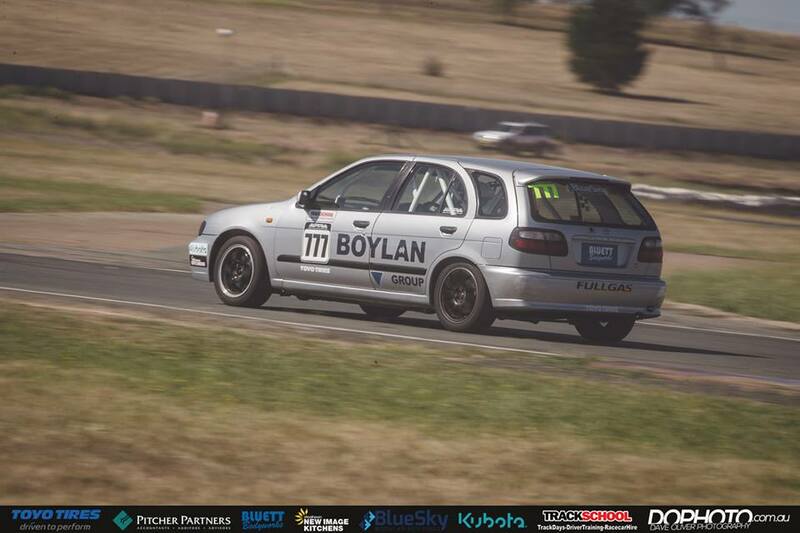 In the opening round in January, Smith won all three races on the 2.2km Goulburn circuit, with Boylan playing Bridesmaid in all three. 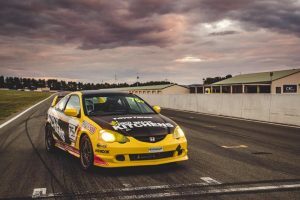 Heath broke Smith’s four-race winning streak, with victory in Races 2 and 3, at Sydney Motorsport Park in Round 2, and again claimed Races 2 and 3 of Round 3, after Boylan’s triumph in the opener. It’s a tight, tense fight between the top three in the series, and that will continue throughout the second-half of the season, but, at this stage, it is Joshua Heath who will start the second half of the season as the title favourite. Looking elsewhere, there’s so much to be excited about within the 32-car field that will line-up on the grid this Sunday. 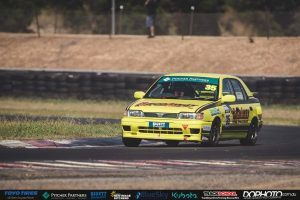 The return to the AASA sanctioned Motor Racing Australia program has seen the field return to the numbers we saw in the opening round on the last Sunday in January. Fields of 20 and 26 faced the starter in the second and third round of the series, and while the CAMS sanctioned events were important for the exposure and potential growth of the series, it’s the AASA events that are their traditional home. Challenging those three drivers on Sunday, will be Craig Thornton. Thornton has had red hot pace throughout the opening three rounds, mixed in with some misfortune, and some unforced errors that have cost him vital championship points, and probably a tilt at the title, but he’ll be looking to take the fight to the top three on Sunday, as he did last time out, when he finished 2nd, 4th and 3rd in the three races. Gene Alexander, Luke Eberhart, Cem Yucel and Brianna Wilson will all return to the grid, as will Thomas Petrovich, Ben Silvestro, Max Healy and Joshua Craig. Brianna Wilson will fly the flag for the girls in 2017, after finishing 10th in the last race at Sydney Motorsport Park, and that was after she fought her way through to 12th in Race 2, after starting at the back of the grid due to retirement in race 1. 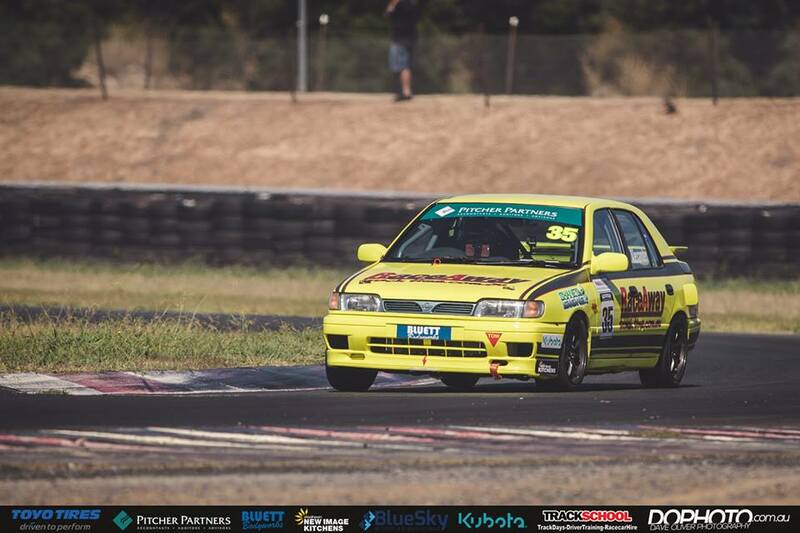 Wilson continues to improve as she spends more time behind the wheel, and will be looking to achieve what Emily Duggan has in Series X3 in years to come. While it’s set to be very cold in Goulburn in Sunday, we’re set for some awesome racing in the APRA Series, in what could be a championship defining round. Qualifying takes place first up tomorrow morning, ahead of three races throughout the course of the day. The 2017 Pitcher Partners NSW APRA Series is proudly supported by: Toyo Tyres, Bluett Bodywceorks, BlueSky Modular Buildings, Kubota, New Image Kitchens and Trackschool. 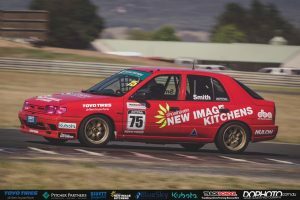 Daniel Smith’s fourth round campaign will be somewhat compromised, with the Trackschool driver juggling duties in two different championships, at two different circuits this weekend. 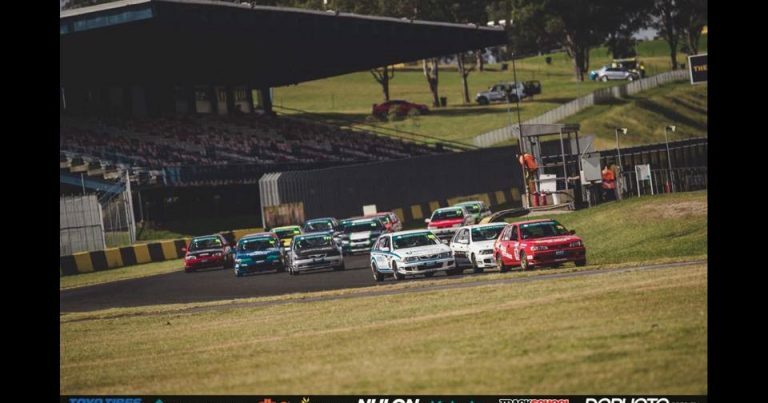 Not only is it Round 4 of the Pitcher Partners APRA NSW Series, but it’s also Round 3 of the Shockwave Signs NSW Production Touring Car Championship – a championship which Smith is leading – at Sydney Motorsport Park. Smith’s weekend will begin in Sydney, with practice on Friday, plus Qualifying and a sprint race on Saturday afternoon. He’ll then venture to Goulburn, ready for Sunday morning, when he’ll qualify the #75 Pulsar for the APRA Series round, and contest the opening two races… but it’s highly likely that he’ll miss race three there, in order to make the trek back to Sydney Motorsport Park, to compete in the one-hour feature race, which is the last event on Sunday’s program. 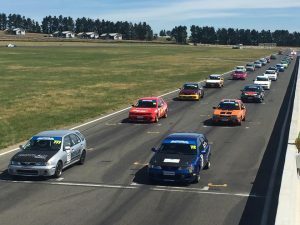 There are three championships to play for in Production Touring Cars (Club, State and Endurance), and while Smith missed the last round at Lakeside Park, and therefore, isn’t in contention for the Club or Endurance crowns, he is the overall points leader in the coveted CAMS State Championship after two rounds. 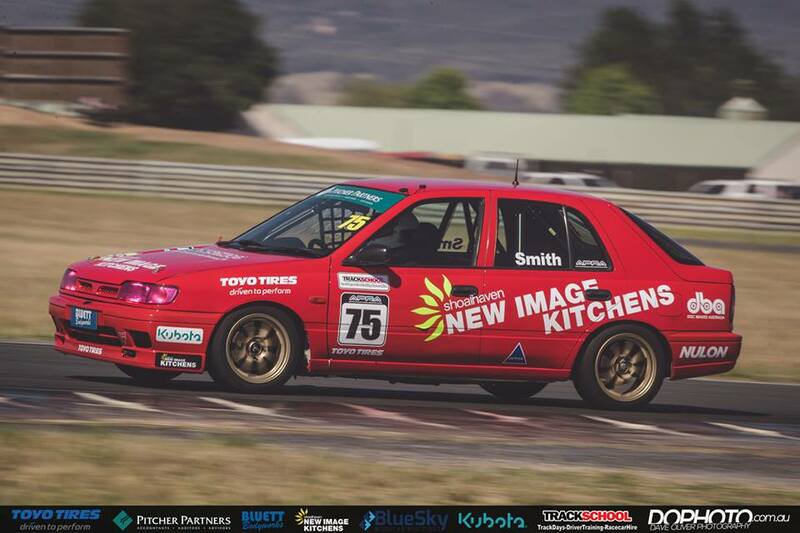 To assist Smith’s bid to compete in both events on Sunday, the team have drafted in a very handy co-driver, in Toyota 86 Racing Series regular, Tim Brook, to co-drive with Smith. it is expected that Brook will start the race, allowing Smith as much time as possible to make it to Sydney Motorsport Park, in order to complete his stint, and bring the car home. Smith has been the standout performer in the 2017 PTC Championship, having claimed class victory in five of the first six races, and in his Class D Honda Integra, he holds an 11-point lead over Rodney Thorpe, with defending champion, Matthew Holt, a further four points back with only three rounds to go. However, with a positive comes a negative, and the date clash is a massive setback for Smith’s Pulsar Championship aspirations. 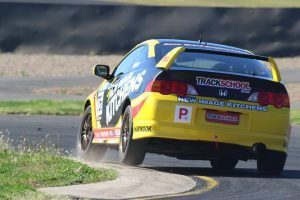 He will essentially give both Heath and Boylan a free pass, and if they make the most of the opportunity by securing a top-two finish, it will make it very hard for the Trackschool pilot to get back in the title fight during the final two rounds of the season.